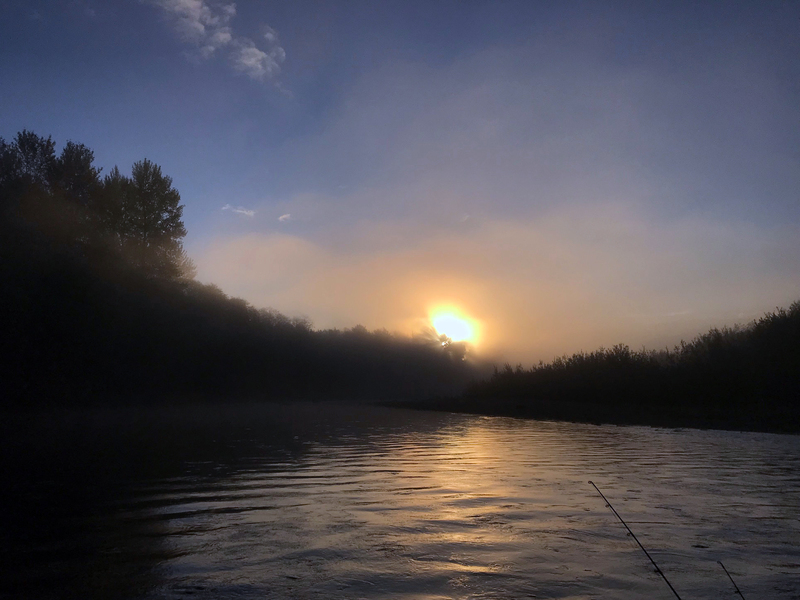 You are here: Home / Fishing / Salmon / Humptulips River ~ First Drift Boat Trip of 2018! 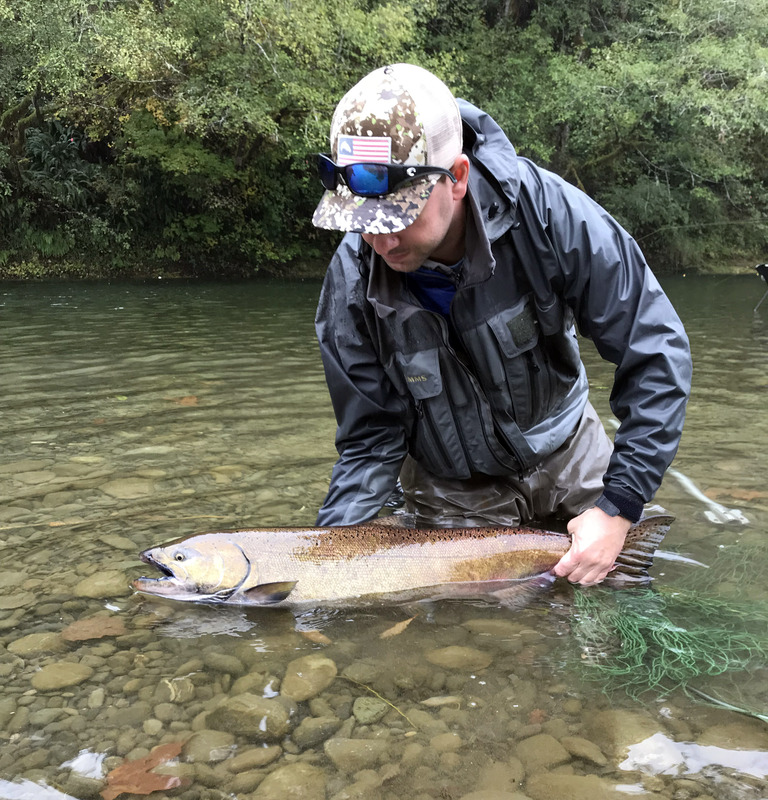 Mitch releases a beautiful Wild Chinook Salmon. I have been dreaming of that first fall drift boat float for at least a month now! The drift boat has been doing nothing but collecting dust all summer, but now it’s time to rally some river fishing trips. Summer was a dream, full of salmon fishing on Puget Sound, but switching gears has been long overdue. Me, Mitch and Miles admire a prized Humptulips River Chinook Salmon. I scrubbed the drift boat on Friday, rods rigged and gear loaded. After a miserable afternoon commute through Tacoma, I made it out to the Coast to meet my crew! Mitch found a Coho that crushed a jig and put up quite a battle! My excitement to head west really builds once we get the first fall rains in the forecast. The forecast was for rain on Friday. It rained hard, and I was hoping that we would wake up with over a thousand CFS on the Humptulips Graph. The first post-wake-up task was to check the graph. 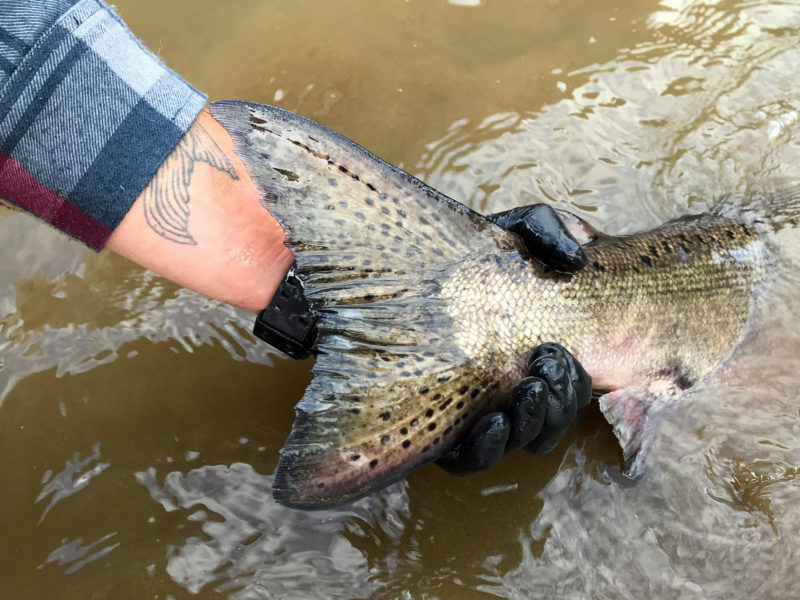 Overnight, it jumped from a trickle of around 350 CFS to… drum roll please… 520 CFS??? That porous, mossy Olympic Peninsula ground is thirsty, and I am always fooled at how much rainfall the forest undergrowth can soak up before there is any impact seen in the river levels. Sunrise over the Humptulips River. We launched early and jockeyed around about 25 other drift boats for the deeper slots. Twitching jigs, rolling spinners and floating the bobber-and-egg setup. 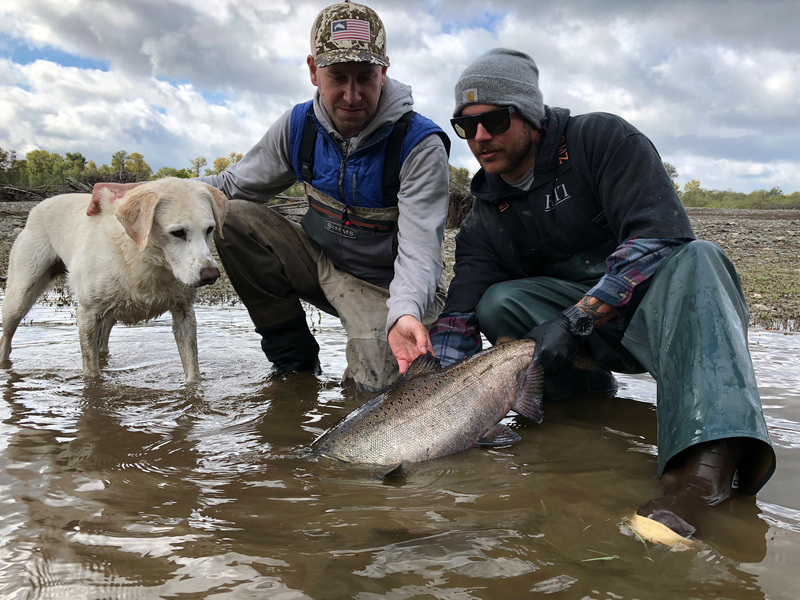 We did find some salmon decided to play. We caught a beautiful Wild Chinook Salmon that was released and a very respectable Hatchery Coho. Releasing a Chinook Salmon on the Humptulips River. It was great fishing with Ian and Mitch! 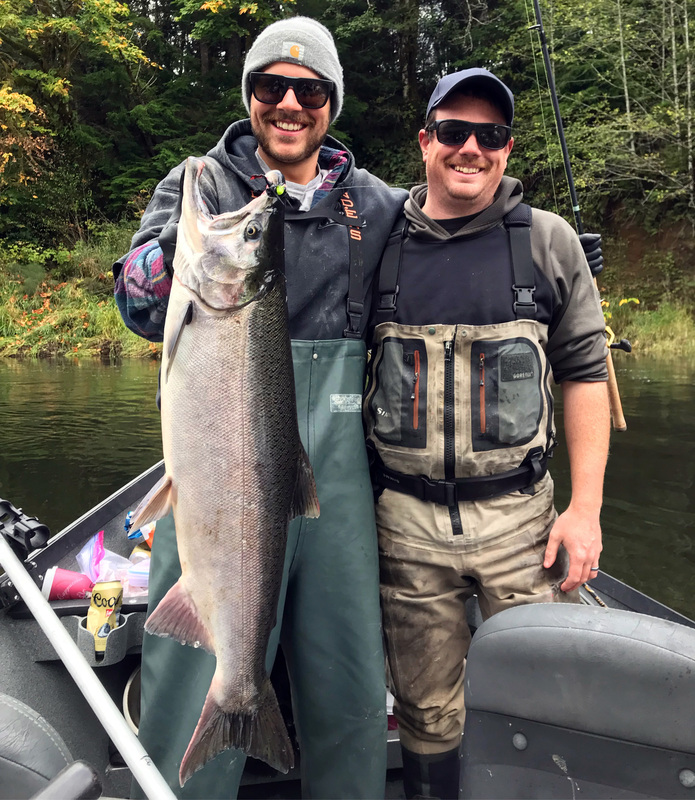 Wonderful kickoff to the fall salmon season on the Olympic Peninsula!